Almost all Services Editions are paperbacks, mostly very thin, cheap paperbacks on poor quality wartime paper. Apart from the need to reduce costs in wartime, there was also the practical matter of fitting into a battledress pocket. So what are we to make of the Harrap Services Editions, a hardback series issued towards the end of the war? These are not only hardbacks, but some of them very substantial books, certainly not pocket size. 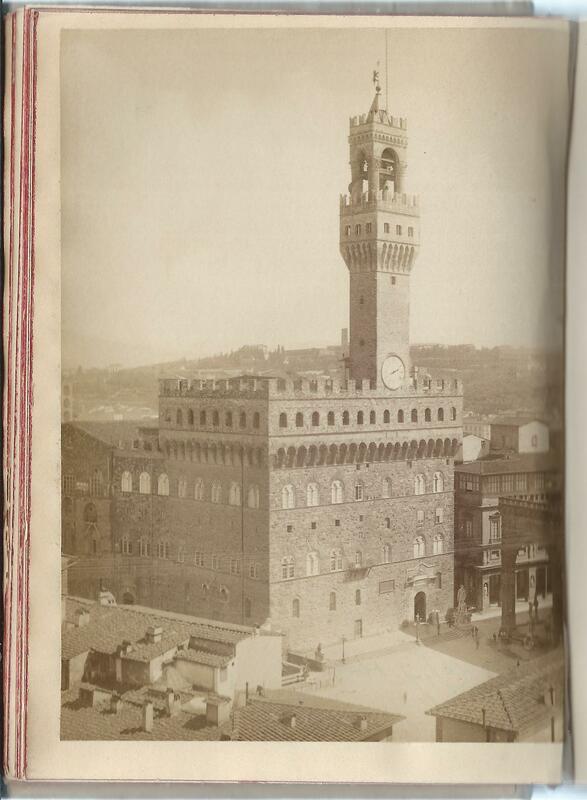 Of course there were hardback books in Service libraries throughout the war. 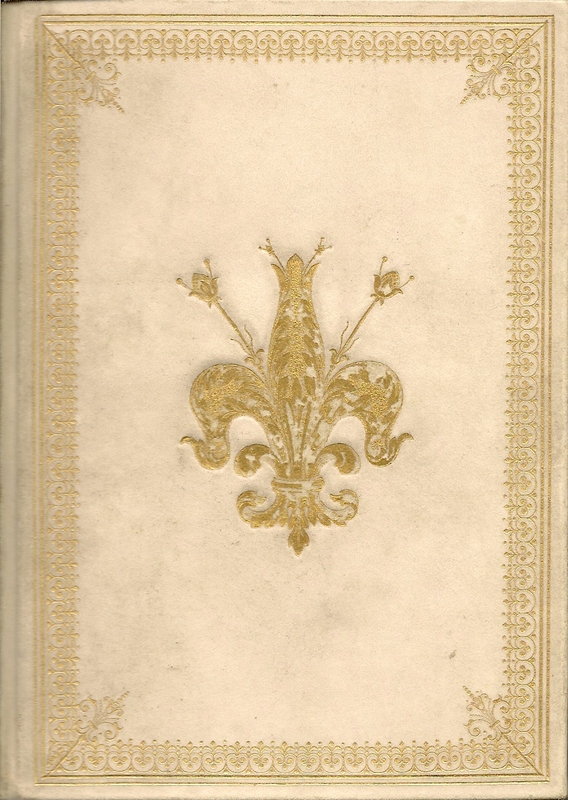 Many of the early books were donated by the public and came in all shapes and sizes, as well as being on all manner of topics, many of them of little interest to their intended readers. On the other hand it was precisely because many of the donated books were unsuitable, that the new series of paperback Services Editions were launched in 1943. Those paperbacks were a huge success and were so widely read and passed around that many of them simply disintegrated, one of the factors making them so scarce today. Some units developed their own solutions, providing homemade hard bindings to make them last a little longer. But perhaps as the war moved towards an end in 1945, it became clear that there was a need for something more durable. Did the armed forces commission a series of hardbacks from Harrap, or was it an initiative from the publisher? By 1945 the dominance of the two long series of paperback Services Editions, from Collins and from Guild Books, was coming to an end. 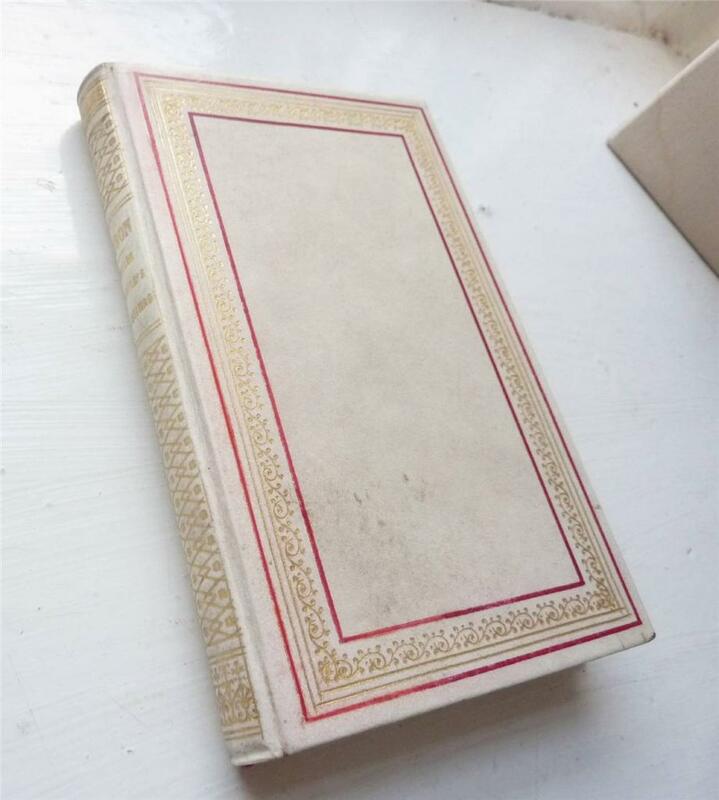 Several other publishers were starting to produce Services Editions, presumably under some sort of contract with the Services that at least enabled them to access the necessary paper ration. But I suspect individual publishers still had a fair amount of discretion over exactly what they published as Services Editions. In the case of Harrap, all they seem to have done is take some of the books that they were publishing anyway and stamp Services Edition on the front cover. There is nothing in the printing history that suggests a specific printing for the services. 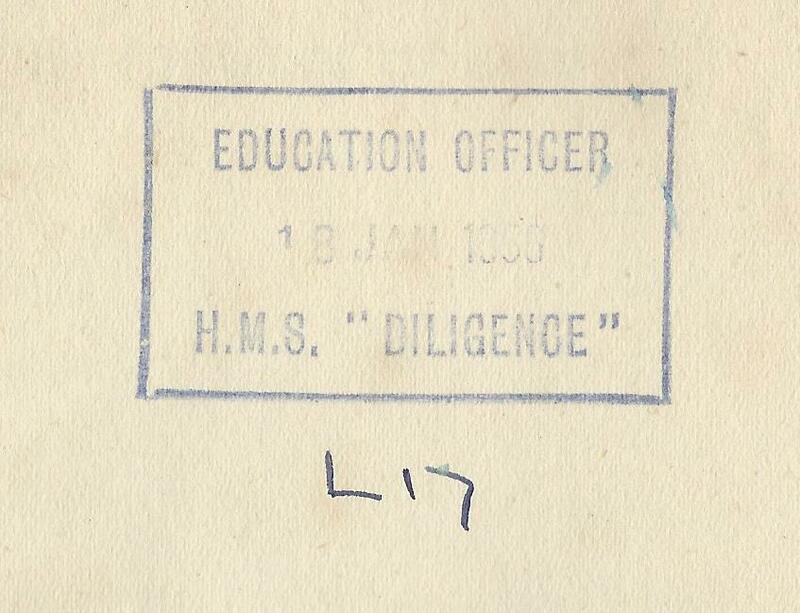 The only evidence that they are Services Editions at all is that stamp on the front board. Nor is there any evidence that they were a series in the normal sense. They come in all shapes and sizes and all types of book. The five examples I have come across include two spy novels by Helen MacInnes, an oilfield novel by Robert Sturgis, the semi-fictionalised account of life in Thailand that later formed the basis for the musical ‘The King and I’, and a biography of General Allenby, a military leader. Are there many others? Four of these five books were printed in 1945, and the fifth in 1946. Judging by the scarcity of the books today, the numbers printed (or the numbers of those printed that were stamped “Services Edition”) must have been small. Almost all Services Editions are now difficult to find, even those paperbacks printed in editions of 50,000 copies. But while it’s relatively easy to make 50,000 poor quality paperbacks disappear, that seems more difficult with hardbacks. If even 5,000 copies of each book were printed, you might expect several hundred to have survived. But if they have, I don’t know where they are. Two of the copies I have show clear evidence of Services use. One other has the half-title torn out, often seen with Services Editions, presumably to remove evidence of Services ownership. So unlike some later Services Editions, they do at least seem to have reached their intended market. I’d love to hear from anyone who knows anything more about these unusual and rather surprising books. The heading for this post is the sub-title of ‘Do no Harm’ by Henry Marsh, which I chose as the first of my holiday books this year. It’s a fair description for the book – a memoir from a senior neurosurgeon, now close to retirement, but coincidentally it just about sums up all my summer reading. I hadn’t appreciated when I was packing, that one of my other choices – ‘Saturday’ by Ian McEwan, was also about a brain surgeon, although this time of course a fictional one. And the other books certainly covered plenty of life and death, if no more brain surgery. I’d heard Henry Marsh talking on the radio before reading his book, and heard the book described more than once as remarkably honest. It is, in the sense that he talks openly about his failures as well as his successes. That means not only the occasional death on the operating table, but coming across others, years later, who had been left in a permanent vegetative state as a result of his failures. And he’s open, although perhaps not to his patients, that mistakes, even with terrible consequences, are almost a necessary part of the learning process, if we’re to end up with experienced consultants. He’s also candid about the arrogance and feelings of being a Master of the Universe, that the job can tend to cultivate. That may apply, with less cause, even beyond brain surgery, to other surgeons who can hold our lives in their hands. At least in his case though, the arrogance doesn’t entirely prevent the feelings of self-doubt or the necessary humanity and understanding of what patients must be feeling. He recognises that he’d much prefer to be carrying out a difficult operation than having a difficult conversation with patients – a failing he suggests is common amongst surgeons, to the extent that many unnecessary or even damaging operations are performed. Consultants prefer to offer patients the hope that an operation may succeed, rather than be honest with them that at best the result is likely to be a painfully extended death rather than a swifter less painful one. The book’s a great read, although quite an emotional one and a fascinating insight into a little known world, at least to me, as someone who’s spent little time in hospital and even less watching medical dramas. I always imagined that brain surgeons were cutting into the brain and attempting to influence in some way the way it worked. It seems instead that their bread and butter is the more humdrum business of cutting out tumours, while trying to avoid as much as possible of the brain itself. 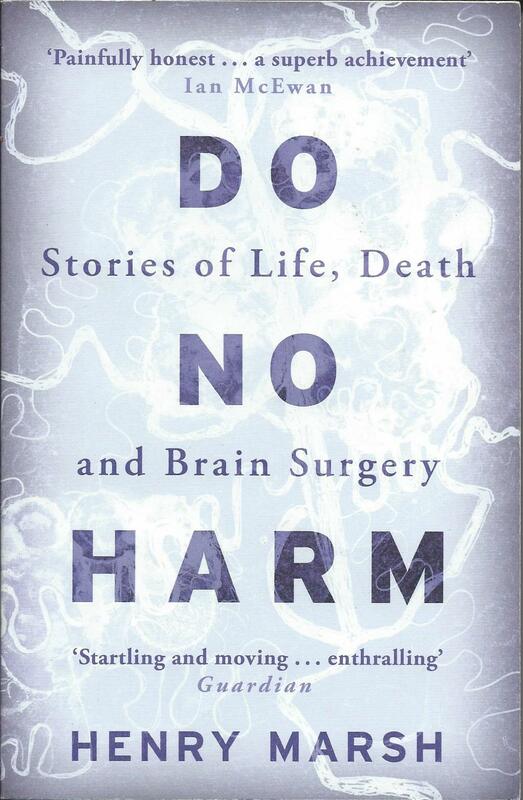 Fortunately there are few glaring inconsistencies between the fictional neurosurgeon in ‘Saturday’ and the real one in ‘Do no harm’. Ian McEwan has done his background research well (I went straight to the acknowledgements to check whether Henry Marsh had been consulted, but it’s another of his colleagues who provided the advice). 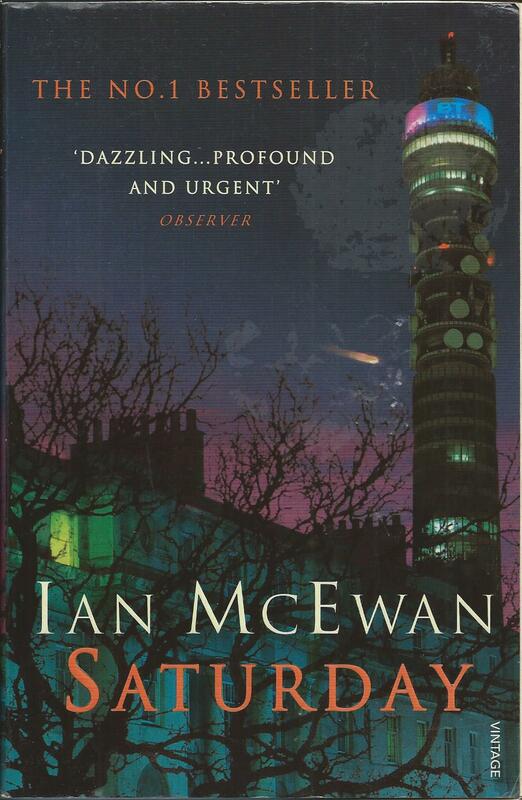 The arrogance and self-satisfaction is still there, and although it starts to unravel in a ‘Bonfire of the Vanities’ style moment, McEwan spares us the full descent into Hell and is satisfied with a brief look over the edge into the abyss. It builds up to an action-packed and gripping finale, but the real strength of the book is in its slower, more descriptive sections, with extended riffs on a game of squash or the preparation of a fish stew. I’ve enjoyed all of the McEwan books I’ve read and will be searching out more. 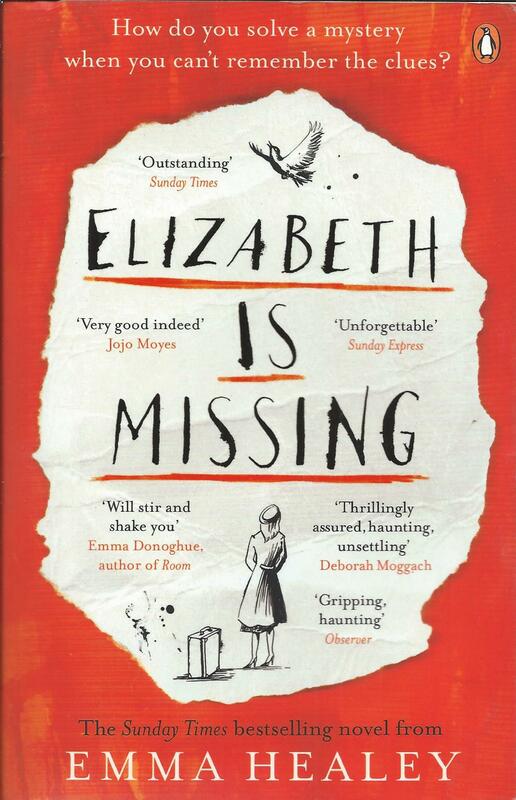 I also enjoyed ‘Elizabeth is missing’, a first novel by Emma Healey, an unusual combination of murder mystery and literary exploration of dementia, another theme that I’ve seen tackled elsewhere recently. The action shifts constantly between past and present, as our heroine Maud, who can hardly remember what happened a minute ago, solves a 70 year-old mystery. It’s in some ways a similar structure to the one that A.S. Byatt used so well in ‘Possession’ and then Tom Stoppard in ‘Arcadia’, and it’s well suited to the subject of dementia. On the whole, the episodes of flashback to her youth work better than the passages in the present, which are a bit predictable and repetitive, but it’s a great read. As of course is Agatha Christie. I’ve worked my way through quite a few of her classic mysteries in recent years, several of them from the Albatross Crime Club editions. 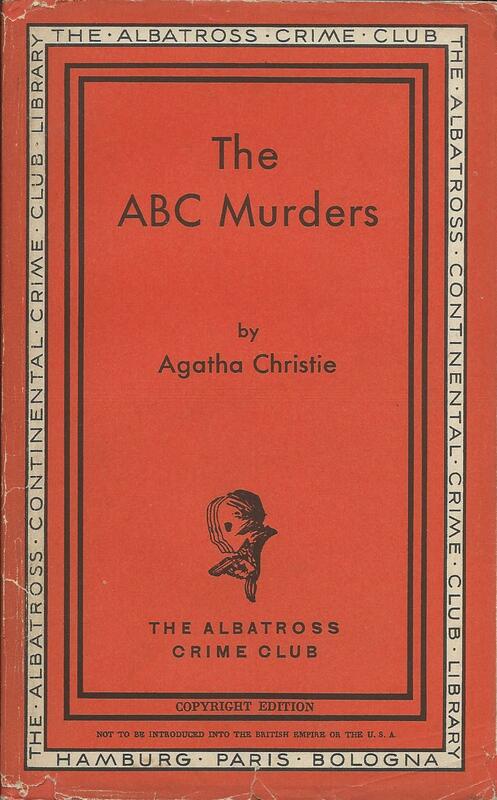 ‘The ABC mysteries’ definitely feels rather dated now, but so carefully plotted that it still keeps you on the edge of your seat, pitting your wits against the great Hercule Poirot.